And that's why this is a must-see museum for all of us! The museum follows the Revolutionary War from the roots of conflict in the 1760s to the rise of armed resistance and the writing of the Declaration of Independence in 1776, and then through the final years of the war. You learn (or relearn) the story of the Revolutionary War through a variety of immersive exhibits, special presentations or shows (such as the Tent Show and an explanation of the Battle of Brandywine), large-scale tableaux, interactive story screens, and "typical" museum artifact displays. None of this feels like your father's museum, because of the mix of interactive displays and mini-presentations that take advantage of today's technology. the beginnings of popular discontent with our British colonial overlords. The museum's collection of several thousand objects includes artwork and sculpture, textiles and weapons, manuscripts and rare books. The collection started by Rev. W. Herbert Burk in the early 1900s makes up the core of the museum's holdings. This museum was his dream, realized a century later. Throughout the exhibits, the museum discusses the diversity of revolutionary-era Americans and their opinions, for example by viewing an Oneida Indian council house, and the 1773 volume "Poems on Various Subjects" by Phillis Wheatley, America's first published black female poet. Slavery is addressed in several exhibits, noting that slave owners often let their slaves enlist in the war with false promises of freedom, but many were forced back into slavery after the conclusion of the war. The British promised freedom to slaves who left rebels to side with the British. In New York City, which the British occupied, thousands of refugee slaves had migrated there to gain freedom. In April 1775, at Lexington and Concord, both free and enslaved black Americans responded to the call and fought with Patriot forces. Notably, free blacks in the North and South fought on both sides of the Revolution; enslaved individuals often were recruited to weaken those masters who supported the opposing cause. One surprise for me was the opportunity to view General Washington's original sleeping and office tent, which was carefully preserved by generations of the Custis and Lee families following the deaths of George and Martha Washington. 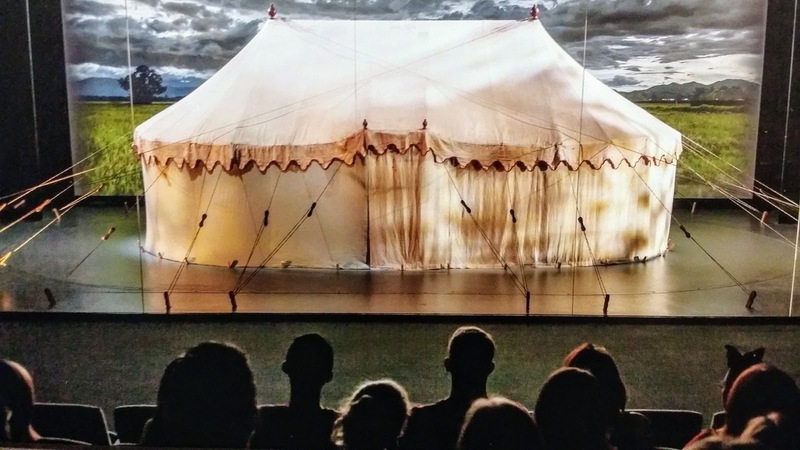 Twice a day there's a presentation about the tent and its importance; then the tent is unveiled in low light to preserve it for future generations. No photography is allowed, so below is one of my cheats: a photo of a photo (from the museum). I found this presentation touching, pulling on my patriotic heart-strings. Photo of a photo by the Museum of the American Revolution (it was on a poster advertising the Tent Shows). 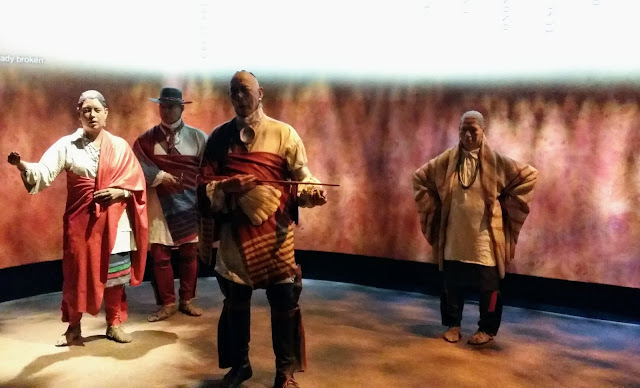 Several immersive gallery experiences feature a full-scale replica of Boston's Liberty Tree (including a slice of the original tree that you're invited to touch), the recreation of an Oneida Indian Council, the Battlefield Theater featuring the Battle of Brandywine, a recreation of Independence Hall, and the kid-friendly large model of an 18th-century privateer ship. piece of it, directly connecting you to history. Know before you go 1: The museum is located in the middle of Philadelphia, the city that kind of is the heart of America's founding. The site is across the street from the First Bank of the United States and two blocks from Independence Hall, the National Constitution Center, Carpenters' Hall, the Liberty Bell, and more. Know before you go 2: This is a VERY kid-friendly museum, with numerous exhibits geared to appeal to childrens' level of knowledge and attention span. :) This museum makes learning about the Revolutionary War fun, for kids and adults. Hours: Daily 10 a.m. - 5 p.m.; closed on New Year's Day, Thanksgiving Day, and Christmas Day.